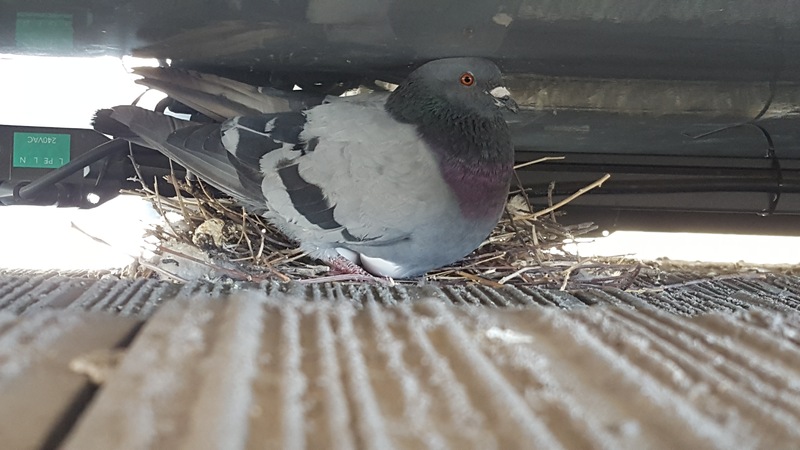 We Flush underneath the solar panels removing pigeons, pigeon nests and their toxic pigeon waste that builds up over time and anything else under your panels that does not belong there. Step 1. We flush and disinfect underneath the solar panels removing pigeons, their nest, their toxic waste and anything else that doesn’t belong there. Step 2. We install our Solarcleann Pigeon Guard around the solar arrays to prevent the pigeons and any other critters from getting under the panels. Our Pigeon Guard is made of galvanized welded wire mesh that is hot dipped in black PVC coating. The Mesh is secured to your solar panels with specialized fasteners that DO NOT void any warranties. Step 3. 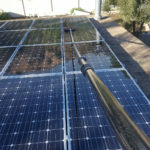 We perform a deep cleaning of the solar panels utilizing our water purification system and water fed solar safe extension pole to scrub off any dirt, debris and or pigeon waste the is impacting your systems ability to produce at maximum output. Step 4. We pressure wash and disinfect the grounds where the pigeon waste and mess from underneath the panels fell. We ensure we leave your home absolutely clean and clear of those pesky pigeons and their waste. 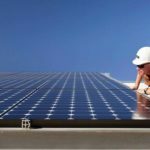 We are a locally owned and operated solar panel cleaning and pigeon abatement company that prides itself in providing affordable quality service. We work hard to protect your investment, maximize your systems production and keep it free from annoying pigeons living, nesting and making a mess underneath your solar system.